This week's theme is the Me and the Color PURPLE. I know a number of persons whose favorite is this color. While I like this color because it is cool and comes in a variety of beautiful shades, I just don't like wearing the color on me. 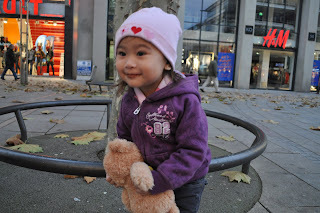 It just doesn't suit my skin color so pardon me this week if my entry will be about my little girl. 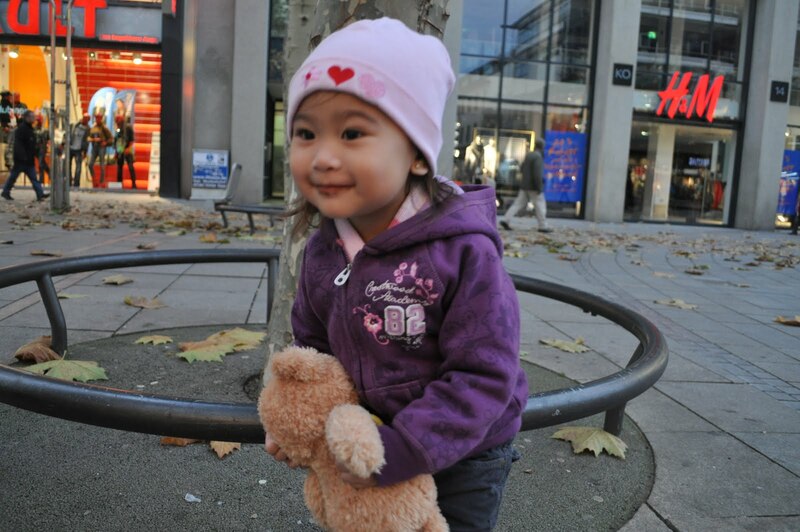 She is the one who looks good on purple because she got her Dad's fair complexion. I love to doll her up and I really glow with pride each time she looks so pretty. If only her Mommy were as pretty as her no? Lol! I was also browsing through some photos and realized that I did have a lavender colored blouse. And the background is great too because of the purple shibazakuras (sakura-like bushes that also bloom in spring) and the mysterious Mt. Fuji visible in the distance. And there's another purple that I absolutely love: ube jam and ice cream topped on halo-halo. This is just the perfect Filipino desert! 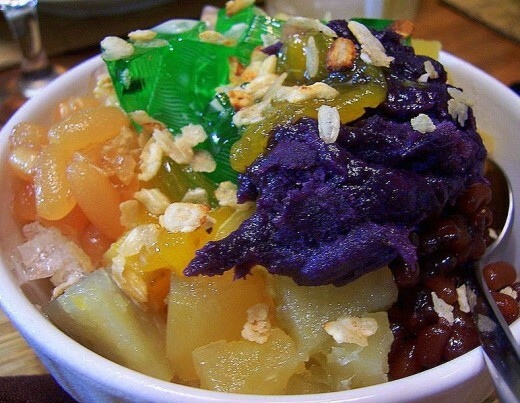 I can't wait to visit Aling Foping's Halo Halo again. This is my entry for this week's GT! Happy GT everyone! 'lil sam looks good in the color... so cute. love the 2nd photo, wow, mt.fuji in the background! lols! Hello Sis, first.. lovely Kid... love that heart on the cap... hehe..